Really? Are you REALLY shocked by the recent legislation that was signed into law in New York? The one that allows infants to be aborted right up to the moment of birth? Are you REALLY shocked by the Virginia governor’s comments that he’s perfectly fine with terminating the life of a child who has already been born? Are you REALLY shocked that in Washington state (and MANY other places) there are three possible genders on birth certificates (M, F, and “X”)? Are you REALLY shocked that seven states now allow physician-assisted suicide and that another 21 states had legislation introduced in 2018 which would allow for that atrocity? 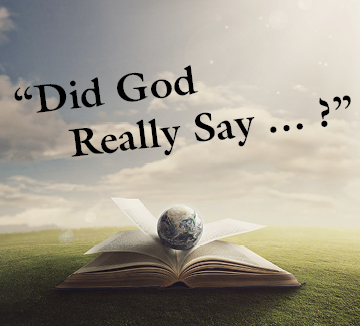 The theme for our 2019 LFL Regional Conferences and our Life Sunday theme for 2020 is “Did God Really Say?” You know the genesis of that phrase, but Satan has perfected the technique of asking that question without really asking that question. And he knows how to patiently and methodically ask variations of that question in order to make small incremental steps toward his goal. Put yourself in the setting of The Andy Griffith Show. That series ended in 1968—roughly 50 years ago. Do you think the people of Mayberry would have cheered if the mayor announced that mothers could kill their babies right up to the instant of their birth? Do you think that Aunt Bee would have consulted with the town physician to take her own life if she had been diagnosed with a terminal illness? Do you think that Opie would have lobbied for the chance to indicate “X” as his gender on his elementary school registration forms?